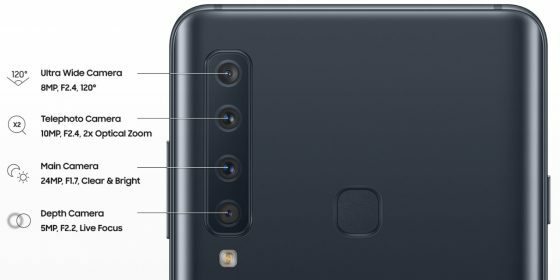 Samsung Galaxy A9 (2018) at the very top has a wide-angle lens (120 degrees) with a sensor of 8 Mpix and aperture f / 2.4. In this way, you can capture a very wide angle. Then we have a 10 Mpix telephoto lens that provides double optical zoom. The main camera has a 24 Mpix sensor and aperture f / 1.7. The last element is the 5 Mpix sensor, which supports the blurred background effect in the pictures. 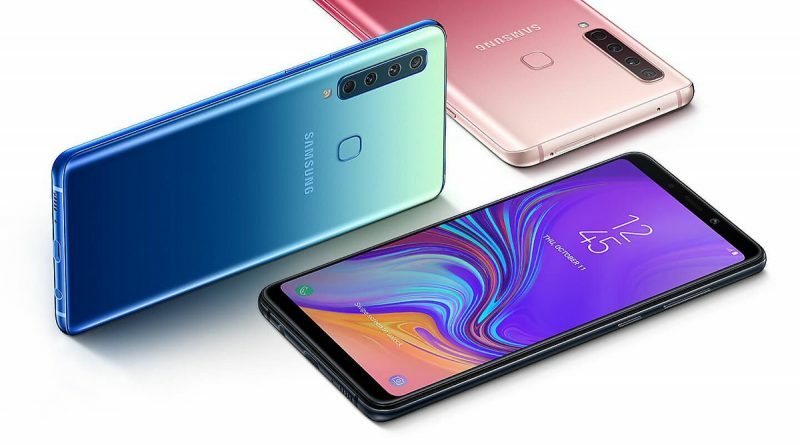 Samsung Galaxy A9 (2018) is not cheap. Its price in Poland is up to 2499 zlotys, and it is not a flagship. As part of the Samsung Odkup campaign, you will be able to get a bonus of 250 PLN. Realization of orders is to start on November 13. Technical data Galaxy A9 (2018) can be found below.